The Mission Viejo Dispatch recently referenced the comments of Joel Bleth, President of Solarbees, posted on the No Solarbee website on November 9, related to the water problems on Oso Reservoir. The entire article is posted as follows. The South Coast Air Quality Management District issued a Notice of Violation (NOV) to the Santa Margarita Water District on November 11 for causing a public nuisance as a result of the numerous complaints received due to odors from Oso Reservoir. 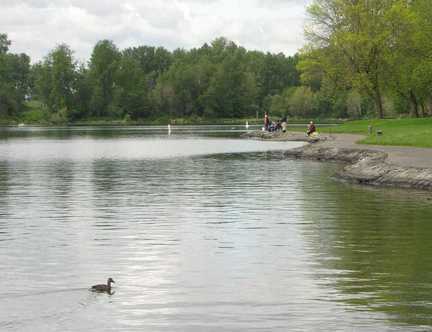 Based on ambient air sampling and analysis done in the residential and commercial areas, AQMD believes that although the type and concentration of odorous compounds released from the Reservoir have caused the residents around the Reservoir some discomfort, irritation, nuisance and other temporary symptoms, the health effects should be of a transient or temporary nature and are not considered alarming or a long-term health concern. The water district has taken several steps to bring oxygen levels back to normal and eliminate the odor. Mechanical aeration equipment has been used since Friday to pump air to the bottom of the reservoir. 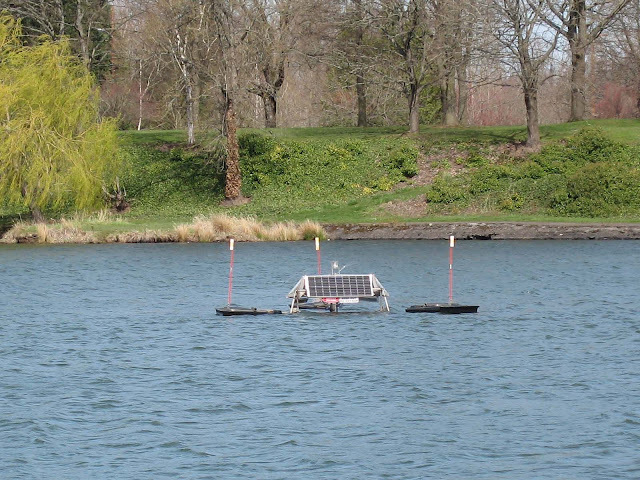 Four solar-powered pumps known as SolarBees have continued to aerate the water. On Saturday, the water district started pumping fresh water into the lake at the rate of 200 gallons per minute; today, the rate was increased to 1,500 gallons per minute. Two boats were being used today to generate waves in order to spur oxygen intake at the surface. An external pump was also being used today to aerate the water. The water district is also considering use of a mechanical device to pump ozone, whose molecules include three atoms of oxygen, into the lake. For more information visit the orginal articles in the OC Register.